There is a vacuum pipe from the throttle body to the EVAP purge control valve. Cut this pipe and insert the 6mm tee connector, and push the vacuum damper elbow onto the the third leg of the tee. 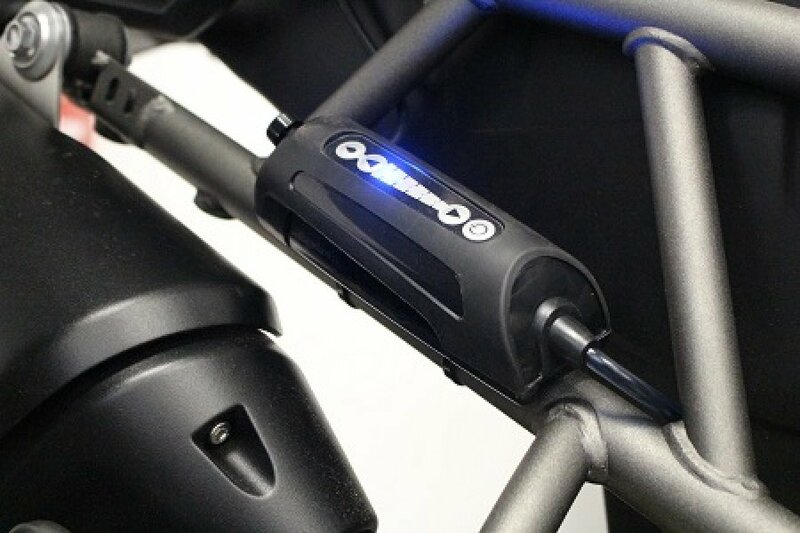 The xSystem reservoir unit can be mounted in various locations on your motorcycle such as frame tubes or under the seat. The reservoir must be at least at a a slight angle with the outlet facing downwards. The xSystem must be wired directly to the battery. Attach the red wire to the +ve terminal and attach the black wire to the -ve terminal. Slightly loosen the battery terminal screws to slip in the spade connectors. Identify a desired location for the check valve in the delivery line. The location of the check valve can be anywhere along the delivery line and should be protected from outside elements. Fill the reservoir and prime the pump until oil reaches your desired check valve location. Cut and insert the check valve with the arrow facing in the direction of the oil flow. Repeat priming the pump until oil reaches the sprocket. 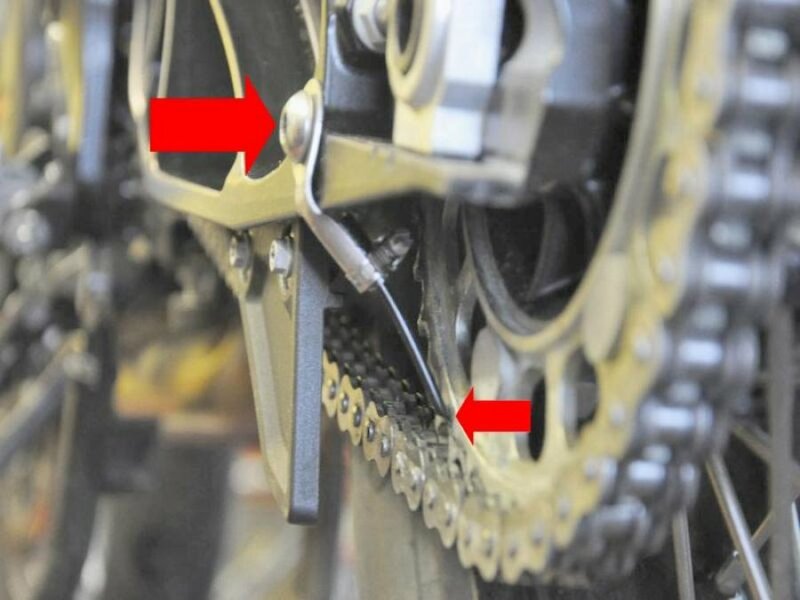 Set the flow rate on the middle section and adjust if required up/down depending on your riding conditions. The xSystem will automatically switch on/off and no manual activation is necessary. You can manually turn the system on/off if you transport the motorcycle on a ferry or trailer. 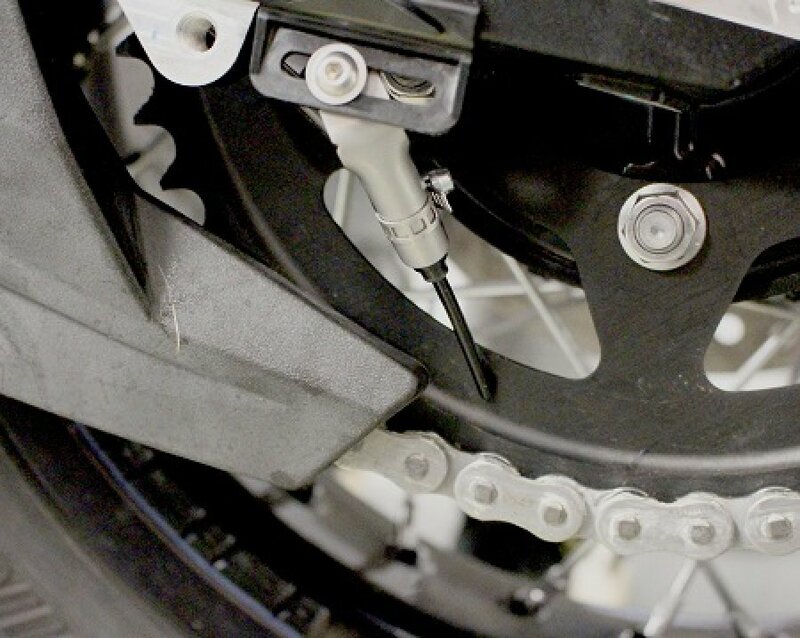 The dispenser can be secured on the chain guard bolt, using the small dispenser plate and clip. 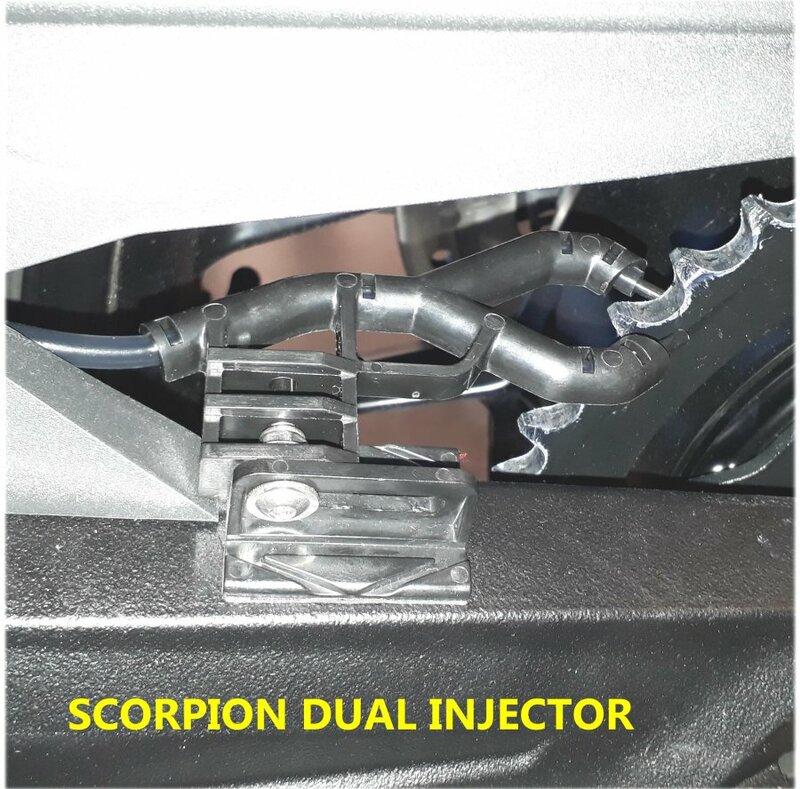 For a neater installation, the delivery tubing can be routed inside the swing arm, to the reservoir, avoiding hot engine and exhaust components.